What Is a "BU" Coin? A BU coin is a coin that has never been circulated and retains all of its original mint luster. BU stands for "Brilliant Uncirculated" and is sometimes used interchangeably with Mint State or Uncirculated. This term is used less frequently now that the Sheldon scale of numerical grading is more widely used. Uncirculated (MS-60, MS-61, MS-62): A technically uncirculated coin with abundant and noticeable defects such as bag marks and scrapes. It is usually accompanied by a poor strike and dull mint luster. Choice Uncirculated (MS-64): These coins have moderate distracting bag marks and/or very few, but noticeable, light scratches due to handling. Eye appeal will be good, but not outstanding. Gem Uncirculated (MS-65, MS-66): any uncirculated coin with only minor and light distracting marks or imperfections. Strike and eye appeal will be above average for the coin type. Superb Gem Uncirculated (MS-67, MS-68, MS-69): And uncirculated coin with only the slightest of imperfections due to handling and transportation. Many of these imperfections will only be visible under magnification. Strike and eye appeal must be outstanding compared to other coins of the same type. Perfect Uncirculated (MS-70): An utterly flawless coin with no imperfections or marks visible even under magnification. Strike must be exceptional and eye appeal must be dazzling. Although Dr. William Sheldon developed his seventy-point grading scale in 1949, it wasn't widely accepted in the numismatic community until the mid-1980s. Before that time coin dealers and coin collectors used a variety of adjectives to describe the condition of their coins. Terms such as "Nice", "Very Good", "Hardly Worn", or "Pretty Good Shape" were used to describe the condition of coins. Unfortunately, the meaning of these terms as it relates to the coin being described was subjective and inconsistent. What one dealer might consider "Nice", a coin collector might consider as "Very Fine". Is nice better than very fine? It all depends on who you are asking. With this lack of standardization, it was a free-for-all in the coin market. In 1934 Wayte Raymond, a New York City coin dealer and researcher published the first edition of the "Standard Catalog of United States Coins". In his work, he defined such terms as Proof, Uncirculated, Extremely Fine, Very Fine, etc. He also rank-ordered these in his catalog from the very finest condition to the very lowest condition. Although this was an improvement because the terms were now rank-ordered from best to the least, what these terms exactly meant was still a matter of debate. In 1946 the Whitman Publishing Company issued its first annual edition of "A Guide Book of United States Coins". Later editions of the book gave more detailed descriptions of what each adjective meant regarding the coin's grade. In 1970, James F. Ruddy published the first edition of "Photograde". Ruddy adopted Dr. Sheldon's seventy-point scale and gave detailed descriptions for each grade within every series of United States coins. Additionally, he provided photographs of what a coin should look like and that particular grade. Dr. Sheldon's original scientific approach to grading was based on the research over many years of coin values. The basic premise was that a coin in Mint State 70 (MS-70) would be worth seventy times more than a coin graded Basal State-1 (currently known as Poor-1). Regrettably, his scientific theory did not hold true for all coins, across all dates and mintmarks. However, this provided the basis for our current standard coin grading system. 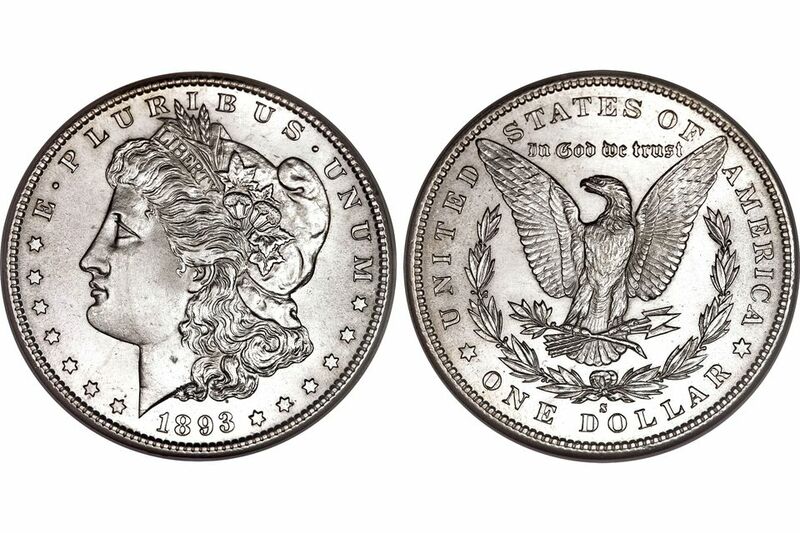 "The old 2x2 coin holder said that my 1898 Morgan Dollar was BU, and sure enough, it came back from PCGS graded MS-62."